My Ex Set Up My Computer and Is Now Spying on Me. What Can I Do? - Ask Leo! My Ex Set Up My Computer and Is Now Spying on Me. What Can I Do? Trust is tricky when it comes to computers. When you add relationships to the mix, things quickly get complicated, and unfortunately, serious. I was dating a guy who installed Linux on my computer and is also the administrator on my computer. He can completely monitor my computer from his home. We are no longer dating but he is still screwing around with my computer. What can I do? He also knows my passwords. I normally avoid these types of relationship-related tech questions, because they’re more about relationships than about technology. And I’m certainly no therapist. However, I get this type of question often enough that I’m going to use it as an example of the technological implications when good relationships go bad. Short answer: you’re in trouble until you take some drastic action. We need to be very clear about something: whoever sets up your computer has total access to it, not just at the time they set it up, but potentially until you reformat the machine. Think about that carefully for a second: the person who installed the operating system for you has total access to your machine. As part of the installation, they at least set an administrative password. Of course you can change that password,1 and that might work to a point. If the person who set up your computer is trustworthy, changing passwords would be enough to prevent their further access. But what if they’re not trustworthy? Or what if they become untrustworthy? Changing passwords is not enough if you can’t trust the person who set up your computer. They could easily have installed spyware, back doors, and used other techniques to continue to give them access. And they could have done this when they set up your system or at any time thereafter. Back up to preserve your data and anything else currently on the machine. Reformat, erasing everything on the machine, including anything your ex may have left behind. Reinstall the operating system and all applications from scratch. Anything short of that could easily leave your ex a backdoor he can still use to access your system and spy on you, or worse. The only real way to ensure you don’t run into this situation again is to learn to do it yourself. Yes, you could pick another trustworthy friend or family member, or perhaps a computer professional, but the issues remain: how long can you trust them? Perhaps you have someone you trust completely, and that’s great. It makes life easier for you if you have truly trustworthy tech help. But even so, learn from this experience. 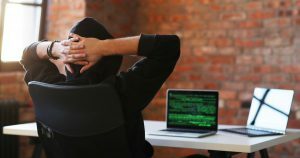 Having someone else set up your computer or have administrative access to it is never something to take lightly. Can Someone Install Something on My Computer When It’s Not Logged In? - If your computer is not physically secure, it is very possible for someone to install something unwanted on your machine even when you're not logged in. How Do I Gain Administrative Access to a Second-hand Computer? - It's common not to get all of the information (such as the administrator password) with a used computer. There are a couple of approaches to taking ownership, but we start by understanding the risks. Can an ISP Remotely Access My Computer without My Knowledge? - Knowing who you are dealing with is the key to safe remote access. It's not the technology that's a problem. It's the person on the other end of the remote access! 1: And probably the passwords to other accounts that he created or had access to while setting up your machine. « Previous post: Am I Wasting My Time Reporting Scam and Spam Emails? If he’s trespassing into her computer without permission and spying on her, she could get another Linux geek to record proof of it and go to the cops under anti-hacking or anti-stalking laws in her state. Getting rid of him as root on her system is good advice, but it might be nice to buy him a night in the clink and a couple hundred hours of community service as a going away present. I suggest you join a Computer User Group. You can learn the fundamentals there, how to backup, and reformat the computer. It’s not real complicated, but a knowledgable person can teach anyone. Do a Google search for computer user groups in your area. Best of luck to you. Back up your personal data to an external or other drive. Burn it onto discs if you have to. Then BEFORE you wipe your current OS, DL whatever distro you like or are familiar with and burn the iso. Many are extremely easy to install. You can GUI all the way and be up and running in no time. The install will give you the option of creating a new partition or wiping and starting over. Wipe it. Then repost your data where it belongs. There, you’re done and clean. If your scared of flying without a net, I would recommend burning a live cd distro such as puppy so you can run that and get on the net to look for help if you encounter any glitches during install. There’s lots of help out there. This is an area which has always kind of bothered me. I’ve set up sites and computers and even pay-pal shopping carts for many people, family, studio clients (music artists), friends etc. I could probably go back through my paper files and find much sensitive information on these people. It’s just the nature of the beast. I MUST have this information in order to set up pay per download and other such things. Non tech people just want plug and play. “Make it work”, is what I heard most often, even after explaining that I really didn’t want to know the information and offering to teach them how to do it themselves. Even if it takes six times longer to hold their hand and have them do it, I’m willing to do that for no extra cost. Now, I’m a trustworthy hippie. I would never dream of abusing the trust. I pride myself on that. BUT, I still don’t want the information. What if someone else got into their account somehow and did some damage. I can see some rabid prosecutor learning of my knowledge and making life hell for me trying to prove my innocence. Even when just setting up a home machine, I beg people to change my root or admin psswd. If I need to help later, you can log me in and let me do my thing. They never do. My point is that if you have sensitive information on your machine, it is up to YOU to secure it. If you’re getting advice or set up from someone, be it a friend or a hired gun, who doesn’t offer you a way to completely lock them out after their work is done, run, don’t walk, away. If you’re not willing to learn how to secure your own stuff, maybe you should take a hard look at how much sensitive information you put on your machine. Actually that’s not enough. He could have other accounts that have sudo privilege, or he could be logging into root without a password at all using public key authentication. How does she know that he “is now spying on me”? Does the ex-boyfriend have direct, physical, hands-on access; or is it the more-likely Remote Access? If the latter, then is it not possible to simply de-install any (Linux) programs that provide such facilities? Not having experience of Linux, I can’t immediately name any such programs; but thinking of the limited amount of Linux software, it seems unlikely that there are many to track down etc. I think the only safe way to get rid of this spying terror is to buy another machine.Im almost sure somebody is havin an access to my data.Its probably one of my ex-dates or (I don’t like to say it) my current boyfriend or someone who just hacked me.I know Its so uncomfortable. A big thing is that when you are no longer on speaking terms with the person who set up your computer, either learn to do it or have someone else you trust do it. There are many trustworthy computer repair shops that will reinstall your computer so that you can clean out the standing risks but you also then need to go into every site that you used a password for and change them yourself. That’s unnecessary. Reformatting and re-installing the OS will remove any spyware just as effectively as a new computer or new drive would. Leo…..you gave the best answer when you said “learn to do it yourself”. Computers are so easy now, compared to even 20 years ago. It just takes a willingness to learn. Assuming the access to this lady’s computer is remote, then why not just disconnect the computer from the Internet? Well, that makes it less than useful for her, now doesn’t it? As Leo suggested, backup data and have the system reformatted by a technician, no need in going through all the other options. She just wants to feel confident that he isn’t spying on her any more. In a case like this, a reformat and reinstall is the best way to protect your computer. Also use a new password. No need to get another machine as some say here. A freshly installed OS will have none of the spyware the person may have installed. In this case, since it’s Linux, it’s even easier than Windows as probably all of the programs you use are either pre-installed with the distribution or is very easy to install using the Linux Software Center (their version of the Play Store), and the software is usually free. Just another note of caution – or question? Isn’t there some remote software or laptop recovery software that persist even after wiping the hard drive? I’d be careful that wasn’t on the PC is well – unless I’m completely off-base here… Leo? Thanks. Nope. If you completely wipe the hard drive you’ve erased everything. If it is possible to prove the access, most states have laws on the books prohibiting unauthorized access to computer systems (private and business). I know that in New Jersey, the penalties are severe (both monetarily and incarceration). Unauthorized access is considered trespassing, and burglary…. Get a reputable IT company to come in to check the machine, since there should be traces of the access, and actions that can be taken to prevent further access without having to rebuild your computer. 1. Get another computer with Windows (OMG!!! I know, but if you cannot control you Linux, you need something you CAN control). 2. Set it up yourself from scratch – when you get the new computer home, you can set iit up by just following the prompts. He wil have no access. 3. If you are dead set for Linux (why? – unless you are an uber Geek, you don’t need it), then you still want a new computer, since your BF may have jacked the computer’s firmware for all we know. 4. This jerk needs to make the acquaintance with a big cop who has daughters. You NEED to report him. Become self sufficient – you do not need some guy doing this for you. You are a WOMAN! Be strong! Why Linux? well, it’s free for one thing, generally more secure than Windows, has a better update system than Windows and contains enough software out of the box to get up and running. No need to keep optical discs for software or worrled about losing downloaded software and not being able to replace it because it can’t be downloaded again. There are many reasons to avoid M$ if you don’t need to use it. 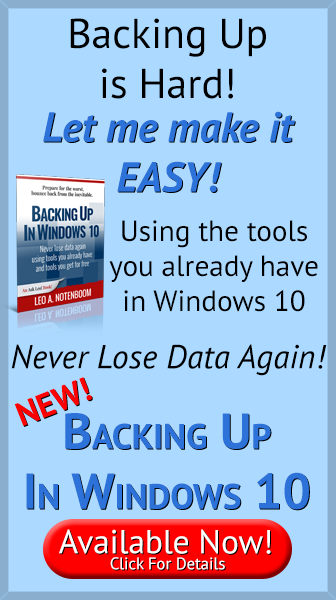 It’s as easy to learn Linux basics as it is to relearn new versions of Windows. It also doesn’t spy on the user the way Windows does. The one possible area that she may need help with though is installing printer drivers if the system doesn’t pick up the printer automatically. Assuming that she has one of course. “It’s as easy to learn Linux basics as it is to relearn new versions of Windows.” With some new WIndows versions, it’s even easier. I used Linux on my work laptop for a year and it did everything I needed. Then I started teaching a course in MS Office and I needed to reinstall WIndows. One thing that has not been covered here – does your web browser or a password manager on the compromised computer store your usernames and passwords? If so then the scumbag… ahem, I mean formerly trustworthy person could have access to that information as well. So you should change your passwords for any accounts that have stored credentials, and do that now. I’m thinking your ‘core’ online identity accounts especially; e-mail, Facebook, Google and/or Apple. Try and do this at the same time as you are refreshing your computer, perhaps even use another means of access that cannot be monitored as easily, e.g your mobile phone. This should minimise the chances of the guy getting ahead of you if/when he realises what’s going on as you’re preventing further access. Lastly, belt and braces; reset your home router / access point and change the default Wi-Fi and management passwords. Best of luck. Don’t hesitate to shop the git to the authorities if this becomes an on-going problem. This applies to all OSes. The original question was about Linux but it applies, as well, to Windows and Mac.